The big guys are starting 2011 off with a bang. Three of our favorite vintage t-shirt dealers are currently hosting massive sales until the end of January (and beyond.) With well over 3k discounted, surely you’ll be able to find something you’re looking for. 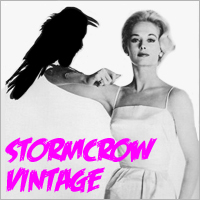 Stormcrow put everything (500+ items) at up to 50% off . Wyco has their entire inventory (1400+ items) at 25% off. VRW has all their goods (1500+ items) at 20% off. ShirtsWithBalls has tees (450+ items) at up to 50% off until early February! Sellers please don’t be shy, inform us when you’re hosting a sale!